Yes, we know the game's been pushed back to a 2010 release date, but we're not too upset by that. Why? Like the original blockbuster title and its Brood War expansion pack, StarCraft 2 is set to have a standalone enthralling single player campaign that is well worth waiting for. Wings of Liberty is the first (and main) title, with the single player campaign focusing on the Terran race; it will be followed by the Heart of the Swarm Zerg and the Legacy of the Void Protoss campaign expansion packs. The game retains the visual style of the original but significant updates have been made to the graphical engine, with all units displayed in full 3D with lighting effects and great visuals. 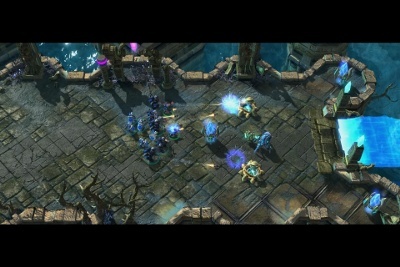 The initial title will only feature single player gameplay from the Terran point of view, and while this might be initially disappointing for fans of the original StarCraft’s three 10-mission campaigns — one for each race — we were informed by Blizzard to expect a full single player campaign in Wings of Liberty of around 28 possible missions. The game may have one start and one inescapable finish, but players now have the freedom to pick and choose the missions they want to complete from a sector map — up to five missions will be available simultaneously. Combined with the two expansion packs, we’re confident that the StarCraft 2 story arc will be between two and three times as long as that of the original. So, what’s the state of play when StarCraft 2 opens its curtains? In the Koprulu sector, it is four years after the events of Brood War. Despite winning a crushing victory over the Protoss and Terran forces, the Zerg swarm led by the Zerg-Terran hybrid Sarah Kerrigan has retreated back to the planet Char. No-one has seen the Zerg in the last four years, while the Protoss race has similarly drawn back to the Dark Templar homeworld of Shakuras. Terran forces of multiple factions squabble over the planets and while the Dominion is the chief power in the sector, the story focuses on the marginalised character of Jim Raynor. You’ll know him from the first games — he’s the ex-marshal of Mar Sara and commands the stolen battleship Hyperion. 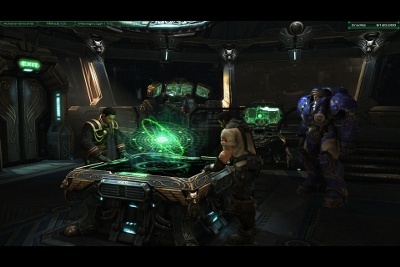 The opening missions of the game see Raynor on Mar Sara, ‘liberating’ an ancient Xel’Naga artifact from Dominion forces. While also serving as a tutorial, the missions set up some back-story and remind players of anything they might have forgotten of the storyline of the earlier games. The real story arc begins when the Zerg appear in the sector, chasing the same relics that Raynor is finding. The missions we played were varied in structure. In one, we liberated a Mar Sara outpost from Dominion forces and found a valuable Xel’Naga artifact, while in another we were forced to hold a rundown outpost against massed invading Zerg forces. A more interesting gameplay style was exposed in a mission where we were asked to gather a large amount of minerals on a Zerg-infested lava planet, requiring a careful balance of unit production and mineral harvesting. To make matters worse, the lava surges every few minutes, obliterating all units on lower ground — where all the minerals are. (Here’s a hint: to survive, you’ll have to use the lift-off ability to raise your command centre, as well as rush all your units to the Zerg-filled higher ground and hold them off until the lava cools.) Oh, and there’s also a massive Zerg Brutalisk to deal with. We played through the first five missions of the storyline, and found the story gripping and enticing — when our two hours were up, we really didn’t want to leave! If you want to quantify it in terms of dramatic changes — then not very much. 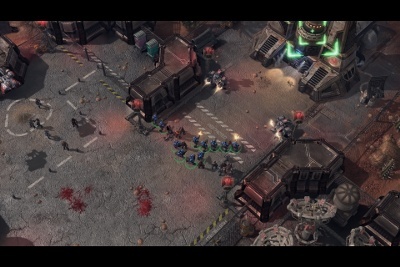 But that’s part of the beauty of the StarCraft franchise: it incrementally builds on the ultimate tried-and-tested formula of three opposing races with unique capabilities. There are a few nifty additions, though, that we think will really add a new element to gameplay.